Can you Make Money with NerdBux? 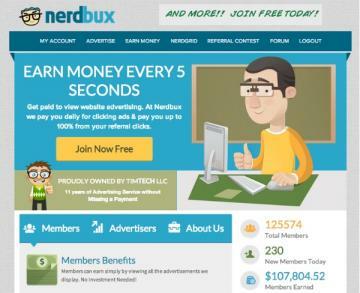 NerdBux is one of the numerous Paid To Click (PTC) sites found on the Internet today. PTCwebsites are advertising venues where businesses put adverts in a private area of the site and users, who are registered members, earn money to click on the adverts and view the sites for around 10 seconds. I could have chosen to write about any other PTC sites, but I came across NerdBux and decided to see if it was possible to make money with them. After going through the site and clicking myself, I can say that it is possible to make money withNerdBux. The problem is that you can’t make that much money per day. 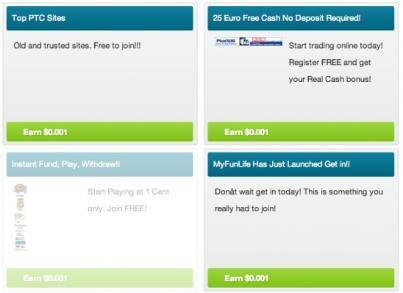 For example, today there are 90 adverts that you can click on to view the sites and earn money. 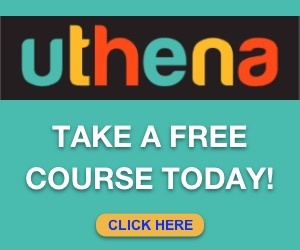 As a Free member, you earn $0.001 per view and 90 adverts mean that your potential income for the day is $0.09. Now there might be more or less adverts on other days, I don’t know. If you do that every day of the month, your income potential becomes $2.70. Now, how long does it take to click the 90 ads in NerdBux and view the sites? 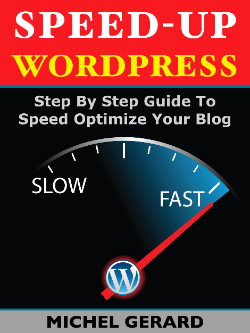 Each site displays in a frame with a timer at the top. The timer starts when the website has completely loaded and when you are viewing the site. You can’t open multiple tabs and do something else waiting for the time to elapse. You have to click the link on the advert, view the site, which has a 10 seconds timer, and then click one of the images to get credited. I have found that it takes around 20 seconds for the whole process. So, for 90 sites you view in NerdBux, you will spend around 30 minutes and earn $0.09. That’s a $0.18 per hour job! 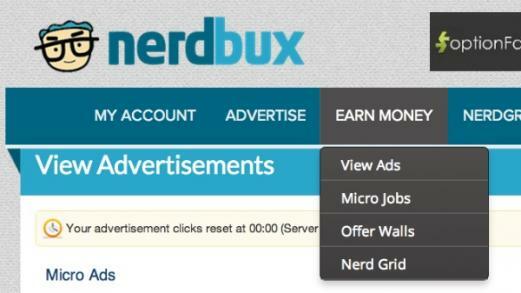 If you look at the “Earn Money” tab, you have 4 ways to earn money in NerdBux. We have already discussed the first method in the first part of this article. The second option is “Micro Jobs” where people post simple tasks for you to do: these tasks are mainly about registering for another PTC site for free or an upgrade. You can earn from $0.05 to$0.50 in this section. The third option is “Offer Walls” where you have different CPA offers for you to participate in. You may have to enter and confirm your email address for a particular site, or a phone number. I see in my account 14 offers in total for my country and that is not that much earning potential. You earnNerdBucks when you participate and have to wait 30 days to get your money. Finally, the “Nerd Grid”. It is a game where you click little squares on a picture and view the site for ten seconds. It is the same thing as viewing the ads, except that you earn money only when you win. 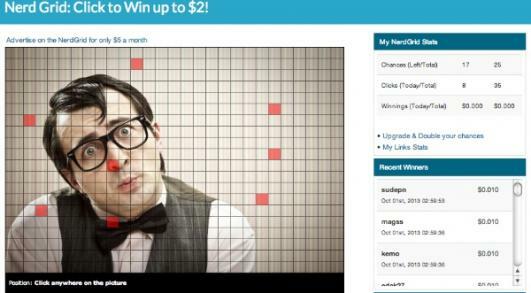 You can win up to $2! The real potential to earn money with NerdBux is to get yourself referrals who will click on the ads, view the sites and earn you a small amount of money everyday. You can get your referrals by promoting NerdBux, displaying banners or giving your affiliate links to friends. You can also rent referrals who do not have a sponsor. It is what I did. In order to multiply their income many PTC users sign-up for several PTC sites and make a couple of Dollars here and there. I found this blog which lists 30 PTC sites and give for each their earning potential. 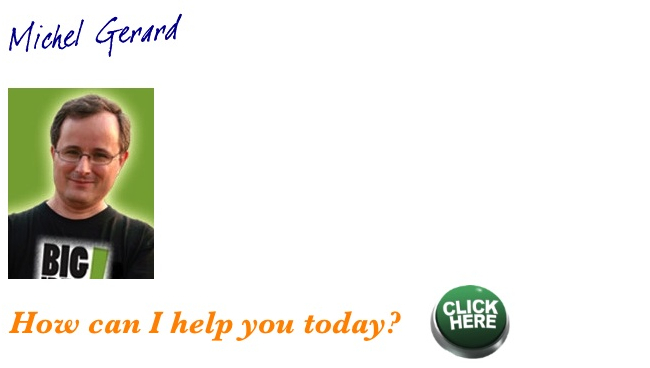 Click here if you are interested. What I am trying to tell you with this article is that you may start with something like NerdBux to get your feet wet and see that it is possible to earn money online, but unless you have a huge downline, you can’t really pay your bills with it. It is an online job where you trade your time for money and not an Internet business. It is why as a conclusion I would not recommend to get involved in this if you really want to make money online.